The ad for Minecraft cross-play between Microsoft and Nintendo is more bad press for Sony. A new ad for the latest Minecraft update on Nintendo Switch released today. 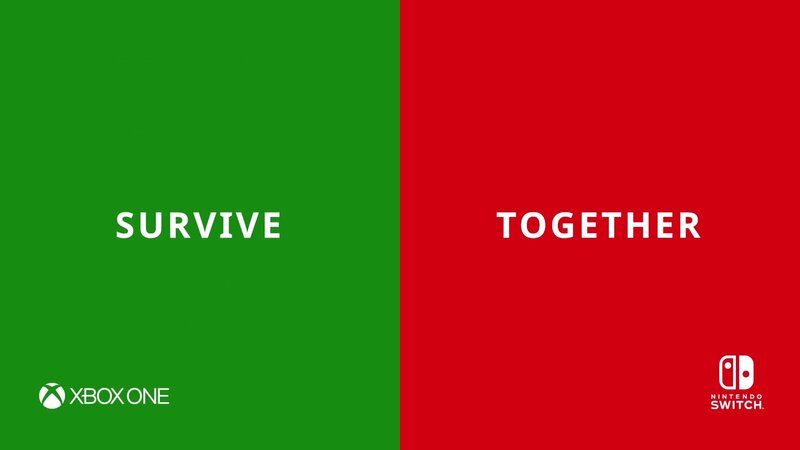 The ad heralds the launch of cross-platform play between Microsoft and Nintendo by sticking the two competitor’s logos right next to one another. Of course, Sony (who isn't as interested in cross-platform support) has naturally been excluded from the Minecraft cross-play festivities. The ad itself is done extremely well, with equal time being devoted to both Nintendo and Microsoft. It sends the message that Minecraft is fun to play, and if you want to have even more fun, you now have the option for cross-play on Microsoft and Nintendo platforms. Who doesn’t want to play Minecraft with friends? Apparently, Sony doesn't. While the ad wasn’t an intentional jab at Sony from Nintendo or Microsoft, it doesn’t help Sony’s image. Especially after their poor response to the Fortnite cross-play issue. The ad seems to emphasize Sony’s questionable stance on cross-play and how if they don’t take advantage of the capability, competitors like Nintendo and Microsoft will. Granted, Sony is free to make any business decisions they see fit, including not supporting cross-platform play. Is this the best choice, though? The Minecraft team made it clear they want Sony involved in cross-play, and even Rocket League developer Psyonix has stated to outlets like Polygon that cross-play for Sony is complete. So, why doesn’t Sony change its policy? According to former Sony Online Entertainment president John Smedley, the reason boils down to money. If that is indeed the reason, it’s possible Sony may be forced to rethink cross-play should competitors like Nintendo and Microsoft begin visibly profiting off the feature. Additionally, consumers have been pretty vocal when it comes to disagreeing with Sony’s cross-play stance. Should this dissent impact Sony’s wallet, we may see the company loosen their grip on cross-play in the future. In the meantime, you can now enjoy Minecraft cross-play between Nintendo and Microsoft, and that's pretty darn exciting! What do you think of the new Minecraft ad? Do you think Sony is making a mistake by not joining the party and supporting cross-platform play? Let us know your thoughts down in the comments below!